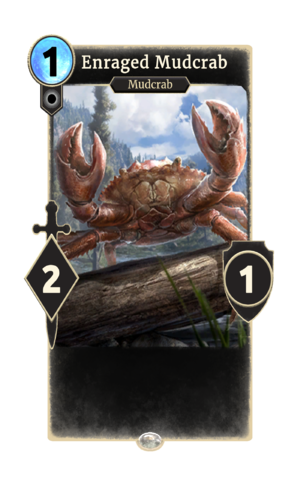 Enraged Mudcrab is a common Neutral creature card. It is part of the Core Set. In previous Elder Scrolls games, Mudcrabs were "horrible creatures, with no redeeming qualities". This page was last modified on 24 September 2018, at 22:43.